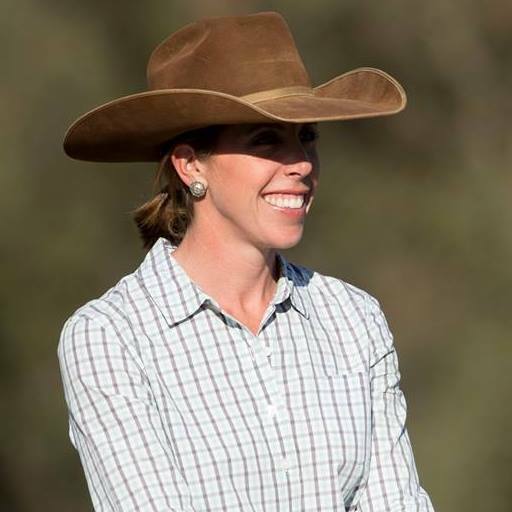 Accomplished professional horsewoman Kelli Neubert will travel to Phoenix, Arizona this week to participate in the Art of the Cowgirl on February 8-10. This unique event features talented Western women in a trade show, ranch rodeo, concert, and horse sale. Kelli will consign a horse in the sale, compete in the ranch rodeo, and start a colt before a live audience as a demonstration with her husband, Luke. In the days leading up to the much-anticipated event held at Corona Ranch, the lovely Kelli visited with Cavvy Savvy writer Jolyn Young about her involvement in Art of the Cowgirl. And handy, too. Read on for behind-the-scenes insight. JY: What do you hope to show the spectators at your colt starting presentation? KN: Luke and I are just going to do what we always do at home. I’d like to show the audience how to stay safe and find success and satisfaction in all of the stages of starting a colt, whether it is just getting them to lead better or riding them for the first time, or anything in between. JY: How do you prepare your horse for the sale? KN: First and foremost, I need to make sure he is going to fit a variety of people before he is sold. Luke has done most of the training and riding on the horse we consigned, so I started riding him late last summer to make sure he could adjust to how I do things. We will have a friend ride him once in awhile too to make sure that we aren’t missing something in his training that doesn’t translate for someone else. It’s important that he goes a lot of places and can be settled and quiet at new facilities. We have been roping on him more too. And of course, we want him to look good. Lots of riding to keep him fit, lots of feed to keep him fat, and a stall at night with blankets and light to keep him slick. JY: Are you excited about the Art of the Cowgirl? KN: I just hope I can do a good job. It’s definitely out of my usual comfort zone of everyday life, so I can’t help but be a bit nervous. But I really feel like it’s going to offer me a great opportunity to meet some of the men and women whom I have admired as artists and cowboys and horsemen. JY: This event is designed by women to highlight and celebrate the accomplishments of women in the Western/ranching industry. I couldn’t help but notice that you are co-presenting with your husband. How did Luke wind up teaching a colt starting presentation with you? KN: When Tammy and Mesa (Pate, both founders of the event) asked me if I would be interested in starting a colt, I told them that I don’t really start colts…I help my husband start them. We are a team. So they said “Well, let’s have you both, then.” This event is a representation and celebration of the working and personal relationship of both women and men in their fields, so they were happy to have us show how we do it together – thank the Lord! JY: I love everything about that. What a great perspective! KN: I’ve always found myself around people who value someone who works hard and shows a learning frame of mind, man or woman, whatever their passion or interest may be. I feel lucky that that’s been my reality. And I like being my husband’s wingman, because he is mine, too. Um, how cute are they, right? Pretty darn cute. 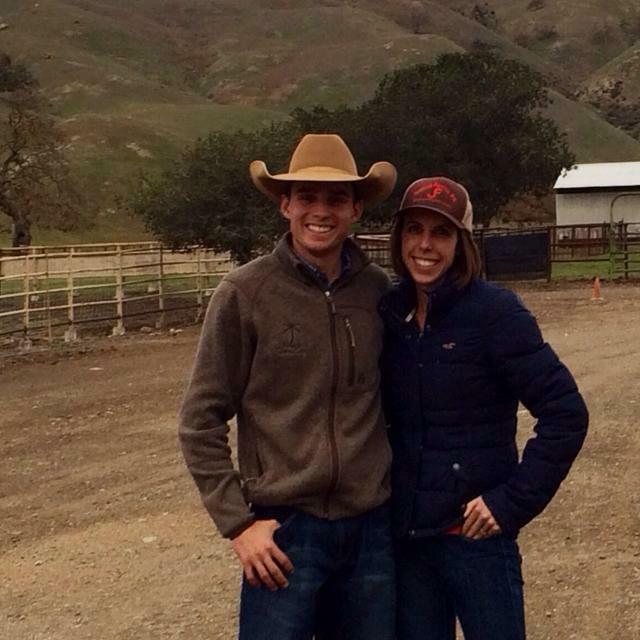 To learn more about how to see Mr. and Mrs. Wingman in action, visit the Art of the Cowgirl website.